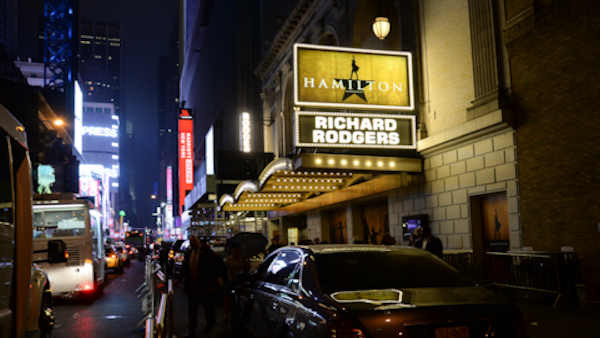 NEW YORK -- Two men were charged Friday with roles in Ponzi schemes that cheated wealthy people, including some who believed they were investing in ticket businesses for popular shows like an Adele concert and Broadway's "Hamilton." Joseph Meli, 42, of Manhattan, and Steven Simmons, 48, of Wilton, Connecticut, were arrested on charges alleging they enticed wealthy individuals to make multi-million-dollar investments. The Securities and Exchange Commission said in a civil complaint that the Ponzi schemes led people in 13 states to invest $81 million. Meli's scheme included investments in businesses that would buy large blocks of tickets for major concerts and musicals, authorities said. The SEC said at least $51 million of the $81 million was diverted to pay off other investors or for personal expenses of coconspirators. Simmons was not charged in the civil complaint, but both men were charged criminally with conspiracy, securities fraud and wire fraud. According to a criminal complaint, the fraud stretched from November 2015 through January and the Ponzi schemes developed as investors demanded their money. The Adele concert and "Hamilton" were identified in the SEC's complaint.